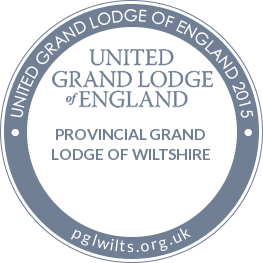 Meeting at The Masonic Hall, The Planks, Swindon, Wiltshire.  The Chapter meets at 6.00pm on the fourth Friday in January and October; and the first Friday in June. 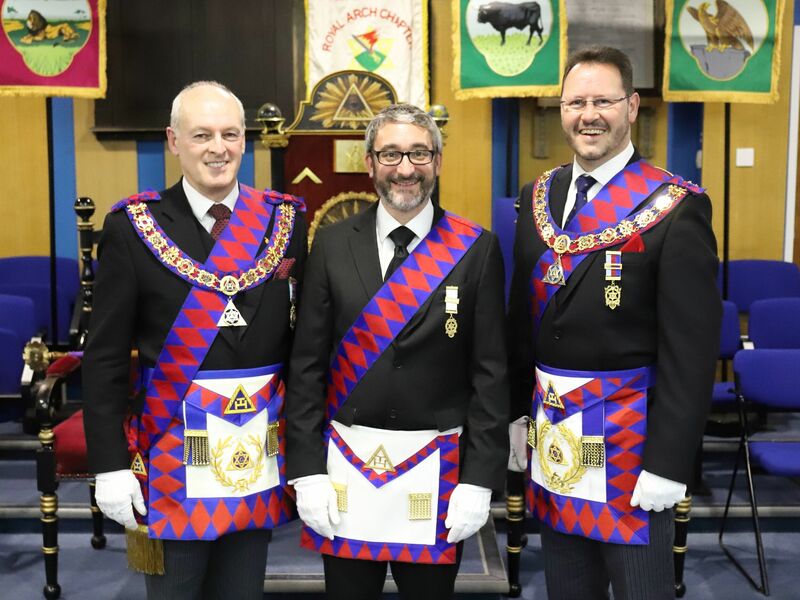 An enjoyable evening was had at Highworth Chapter on 25 January 2019 when Bro Darren Bond, who is a member of Ashdown Lodge which meets over the border in Faringdon, was Exalted. As a result two Grand Superintendents were in attendance, E Comp Ian Hopgood, the MEGS of Berkshire and our very own E Comp John Reid. 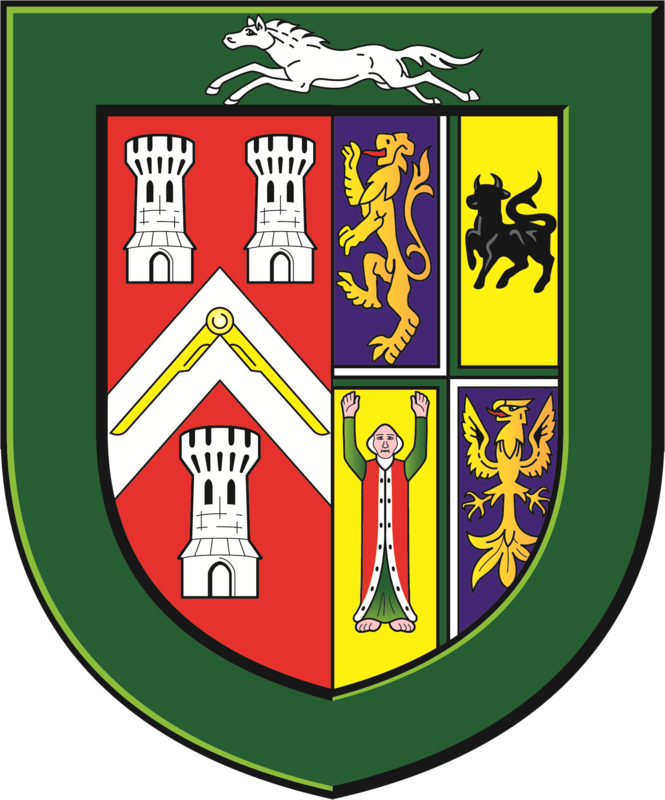 Members of the Chapter, E Comp. Harvey Groves & E Comp John Hughes, had both reached a milestone birthday recently and held a joint celebration at which they asked for donations rather than gifts. 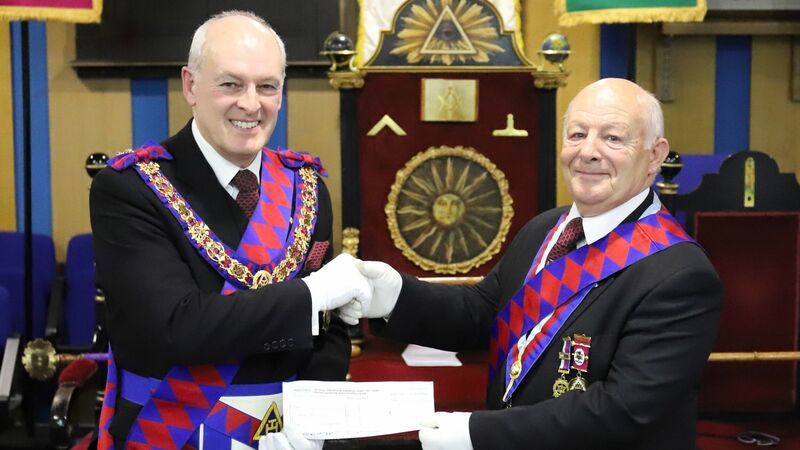 The result was a cheque for £345, which was presented to the MEGS E Comp John Reid. 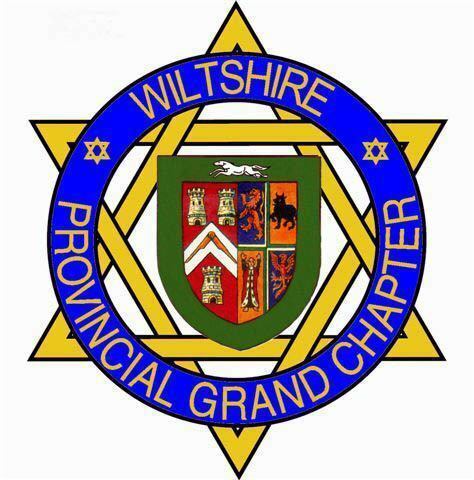 On Friday 29th October a good number of Wiltshire Companions gathered at Highworth Chapter No. 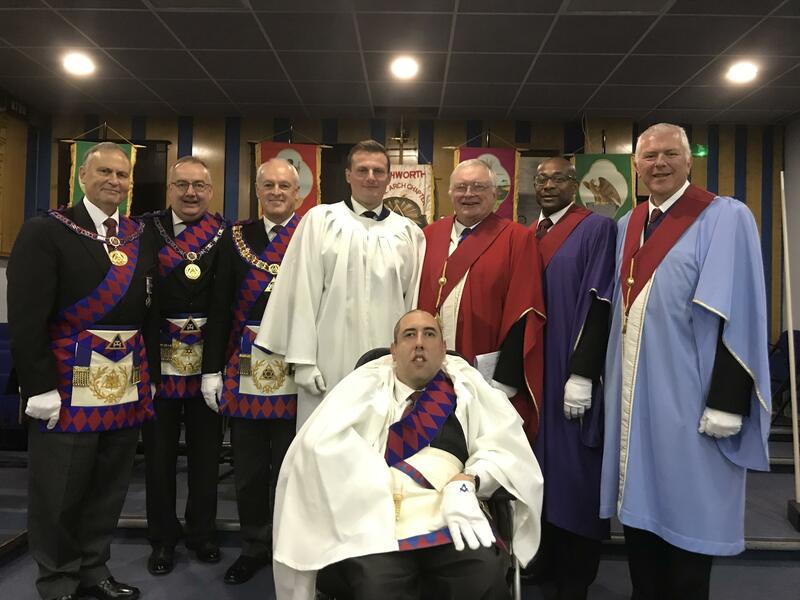 9009 to watch as Bro Mitch Bryan, Secretary of The Sarsen Club was Exalted into the Royal Arch. 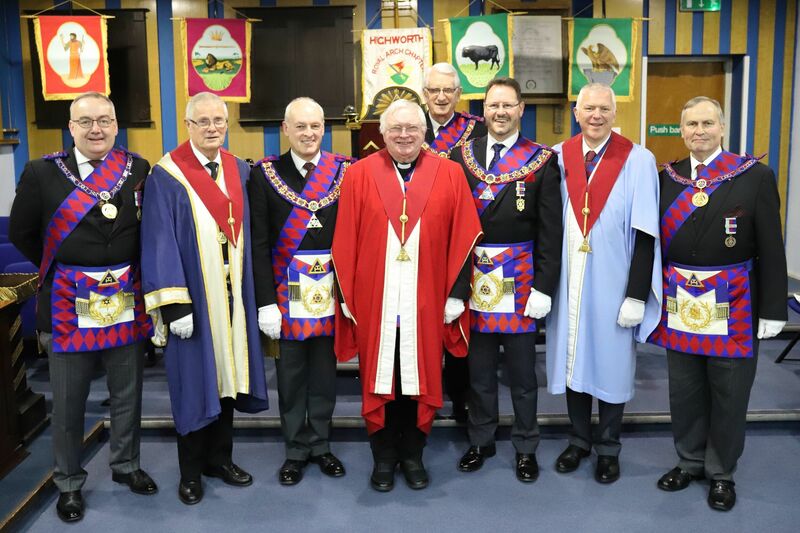 The Companions present witnessed a ceremony full of warmth conducted by the MEZ of the Chapter, E Comp. John Hughes. However a special mention must go to Comp. David Plotkin, the Principal Sojourner, who delivered his ritual and conducted the Candidate with real finesse. 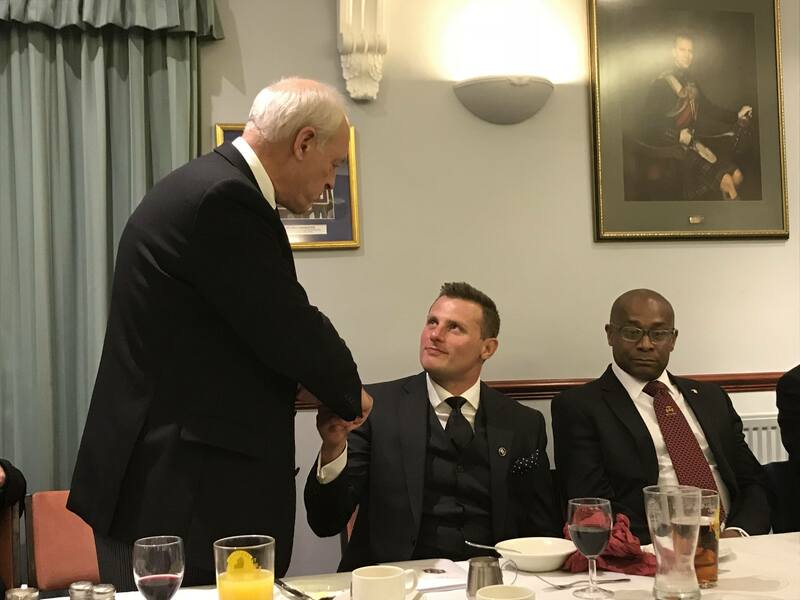 The Companions retired to the Festive Board and enjoyed a lovely meal together. The Most Excellent Grand Superintendent welcomed Comp. Bryan formally to the Royal Arch on behalf of the Province and presented him with his moonraker pin.